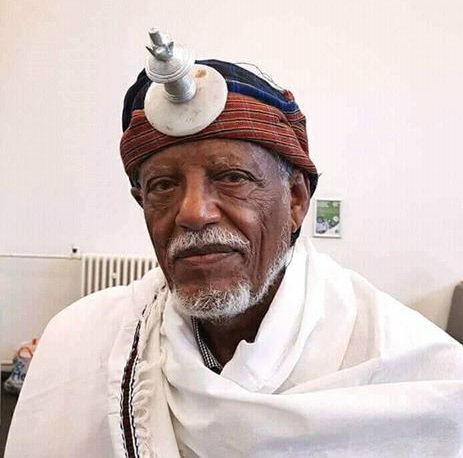 (EP) The much loved Eritrean professor, the pioneer of Gadaa studies, will visit Ethiopia next week. Born in Geza Kenisha in Asmara, the same area where Onesimos Nesib (former name Hika) sought refuge and translated the Holy Bible into Afan Oromo more than a century ago, the anthropologist Asmerom, (Ph.D. Harvard Emeritus Professor) is well known for the relentless efforts he has done to introduce Gadaa system to the world. 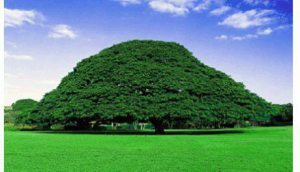 Two years ago, Professor Asmerom saw the fruits of his 50 years hard work when the UNESCO adopted Gadaa, the five-century-old constitution of the Oromo of Ethiopia, as one of the world intangible heritages. The respected professor wrote one of the most quintessential books on the Gadaa system. 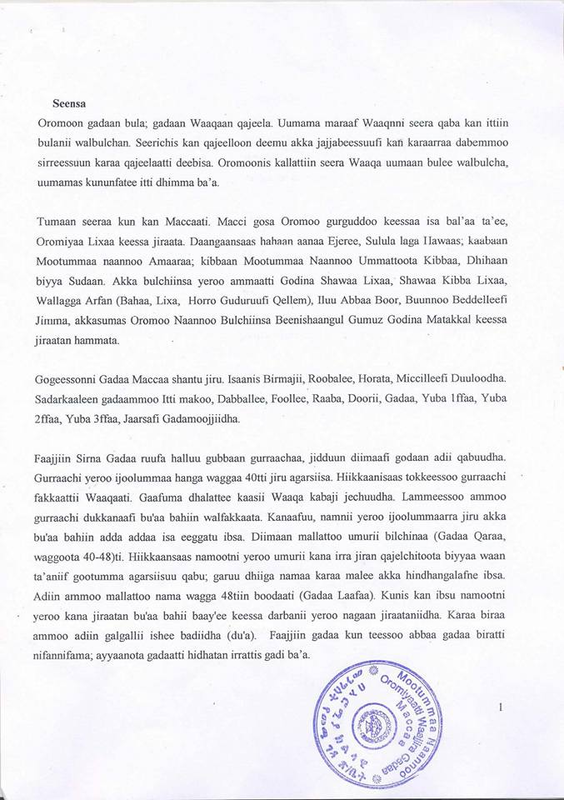 Read: OROMO DEMOCRACY: An Indigenous African Political System. 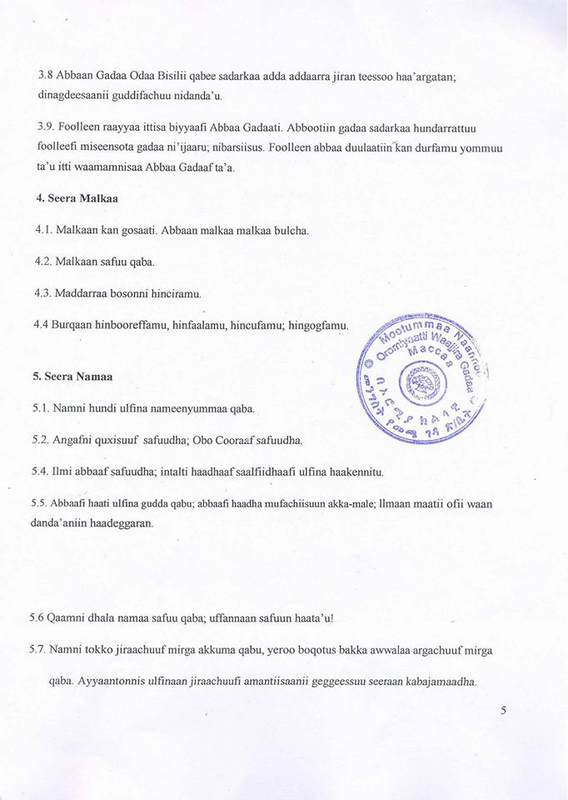 Gadaa is a political, economic and social system which the Oromo people have been following in governing themselves. 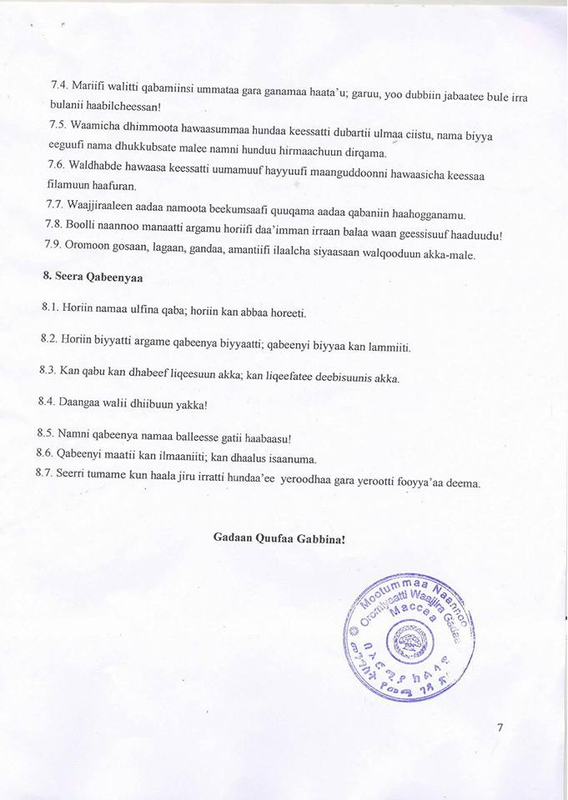 Although the Gadaa system is no longer widely practised, it remains influential in Oromo society at large. 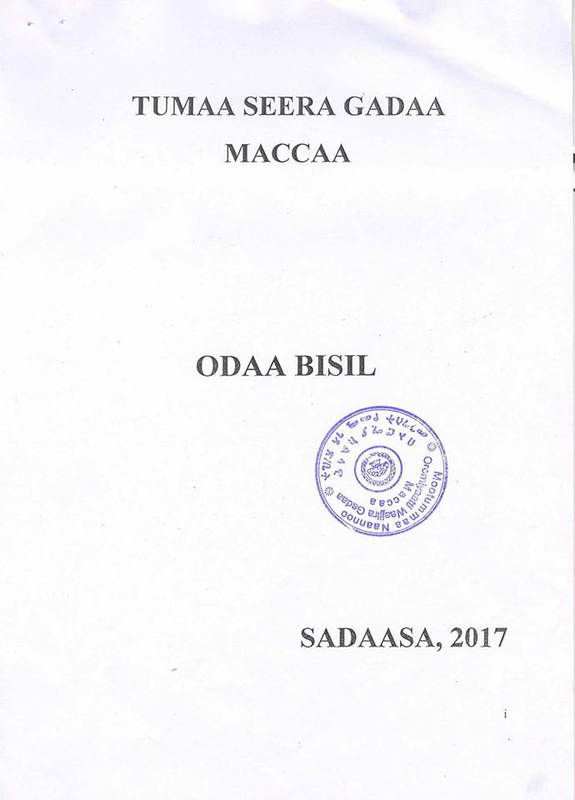 Amazingly, the Gadaa system is a democratic system of governance in which the community as a whole has the opportunities to participate on an equal basis. 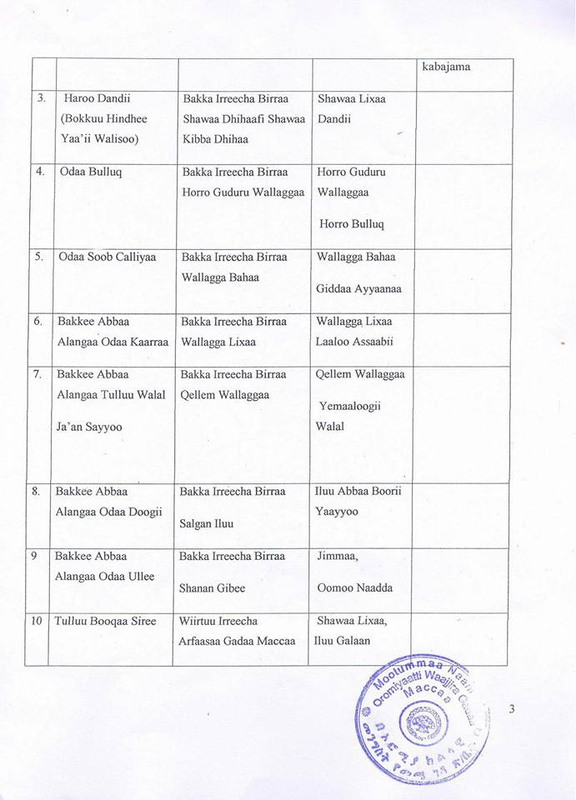 Under the Gadaa system, the Oromo people are organized or structured into five grades or strata and assume power in rounds which last for eight years each. 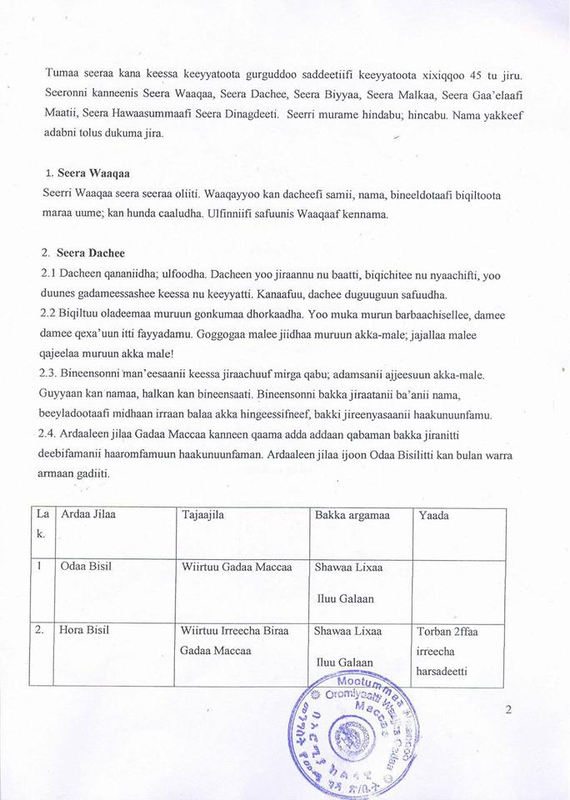 Among the Borana, Gada is graded into Mogiissa, Sabaka, Darara, Fullasa, and Makula. 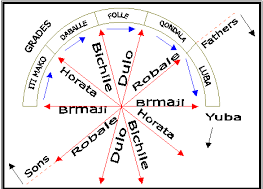 On the other hand, among the Karayu Oromo, the strata are referred to as: Robale , Melba, Birmaji, Michille, and Halchisa. Among the Macha and Tulama, these strata are known as: Horata, Michille, Dulo, Robale and Birmaji. His visit will be a blessing as he has been to the Oromo nation, whose cultural treasure he helped not stay buried and neglected with no chance to enjoy the recognition and scrutiny it truly deserved. Gadaan Maccaa bara kana haaromsaaf godaanee akka ture namnuu quba qaba. Godaansa sanarratti seerri bulmaataa tumaamee jira. Seerri kun keeyyattoota gurguddaa 8’fi xixiqqoo 53 kan ofkeessaa qabu yommuu ta’u, wixineen seerichaa qorattoota yuunvarsiitii Jimmaafi Wallaggarraa dhufaniin qophaa’e. Abbootiin Gadaas alangaa quwaasuun seericha tumuun mirkaneessan. 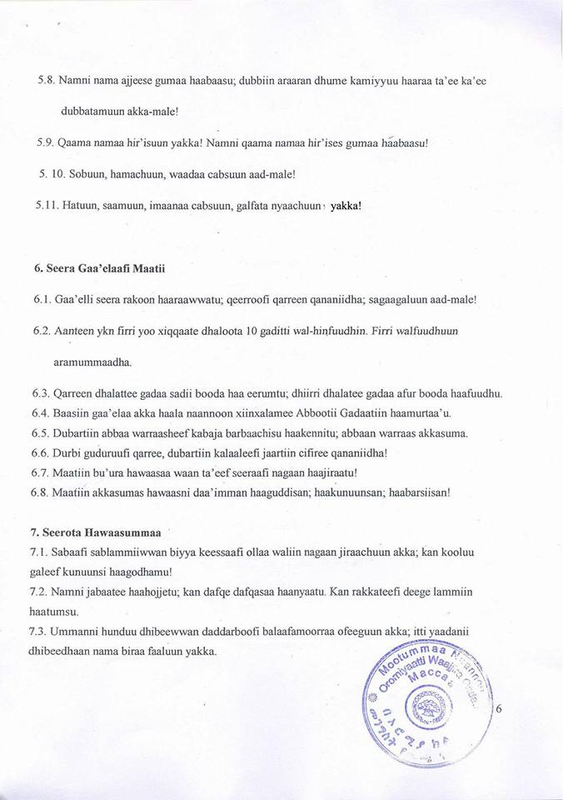 Gadaanis hojii jalqabee jira. Waan hundaafuu, dookmentiin seera tumamee kunootii dubbisaa! Hub. 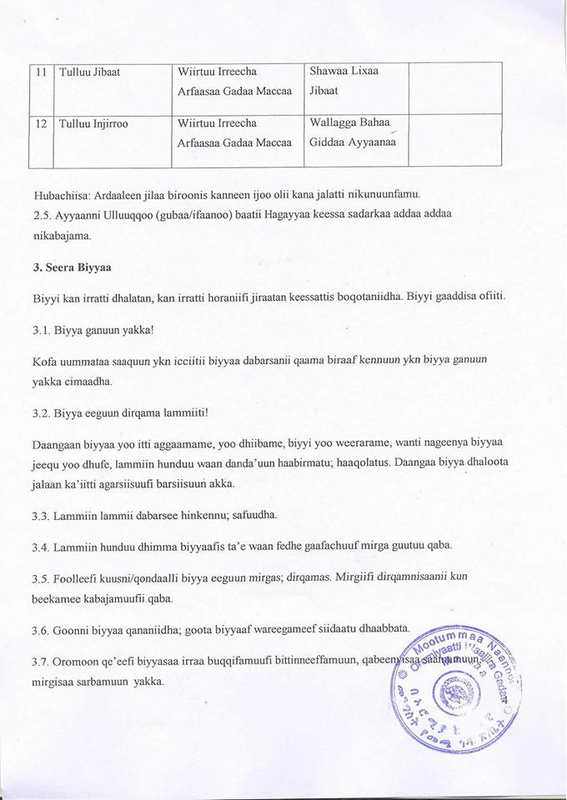 Maxxansi kun heyyama Abbaa Gadaa Taakkalaa Dhiinsaatiin Ummata Oromoo bira akka ga’u ta’e. Qooduuf kaaniif dabarsaa, tokko jedhanii lamatti taruu!